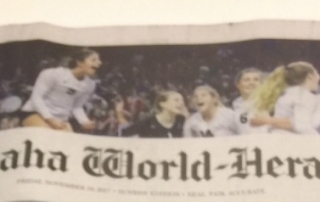 A friend of mine sent me a picture of this article in print when it published two years ago. I stumbled upon the online version yesterdy while doing a Google search with my name mis-spelled. What? Nevermind, the crux is: Here’s this cool article about Marcus! 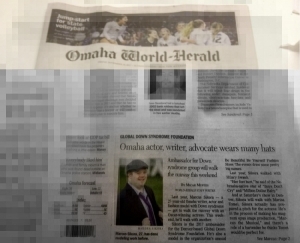 For the second time, Marcus is Front Page News. 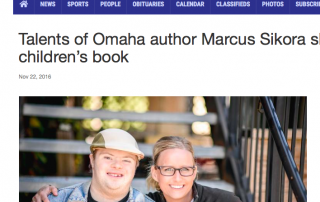 Last year, Marcus Sikora — a 27-year-old Omaha writer, actor and fashion model with Down syndrome — got to walk the runway with an Oscar-winning actress. This weekend, he’ll walk with another. It’s all GO around here (and beyond) in the month of October. Last weekend we had a whirlwind trip to Greenville, SC. Where we met up with good friends, old and new, and had some great events. 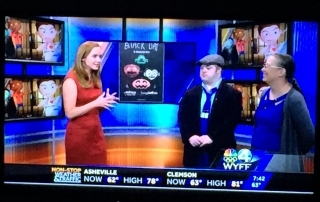 Wondering where in Greenville you can pick up a copy of Black Day: The Monster Rock Band? M. Judson Books and Musical Innovations!